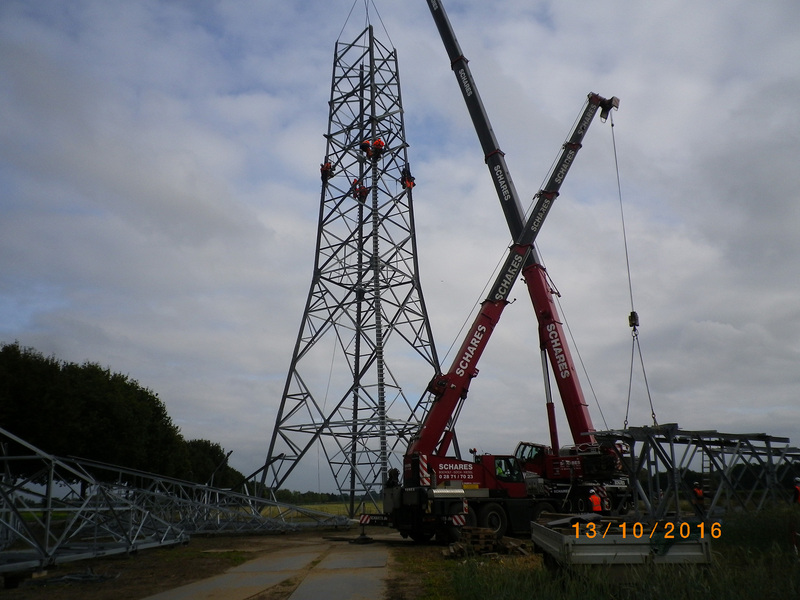 Construction of new 380/110kV power line Wesel-Meppen. 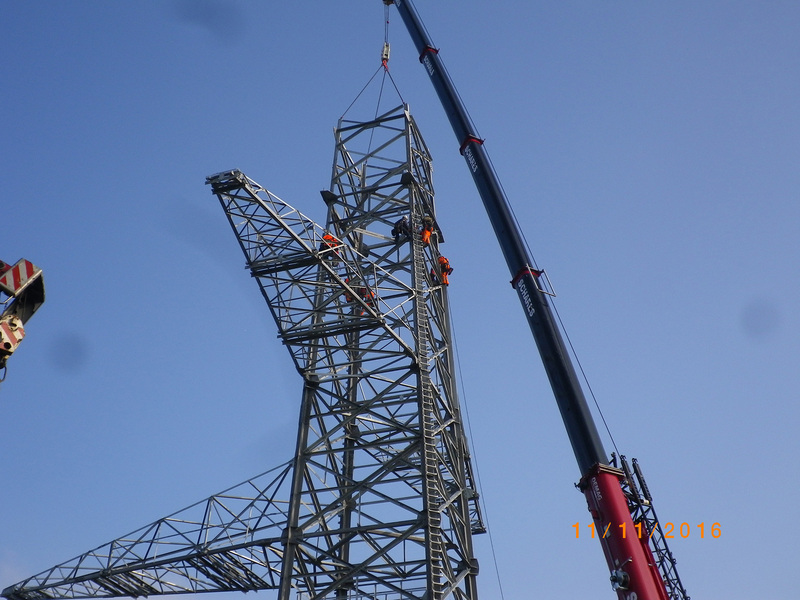 AMPRION and WESTNETZ were the Investor and we work as a subcontractor of FRB BILFINGER GmbH. 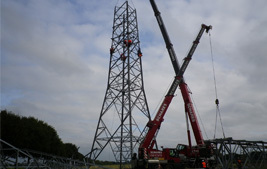 Construction of new 380/110kV power line Wesel-Meppen. 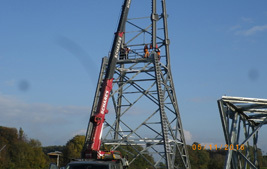 AMPRION and WESTNETZ were the Investor and we work as a subcontractor of FRB BILFINGER GmbH. 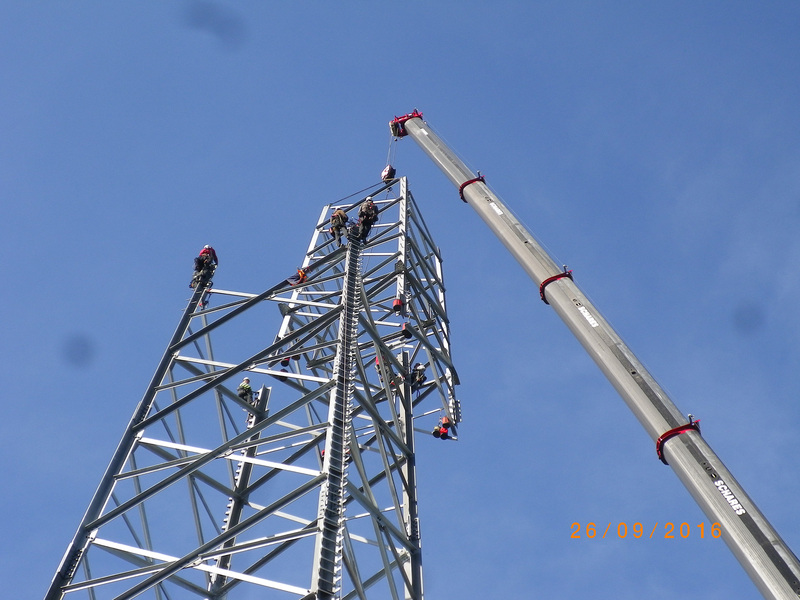 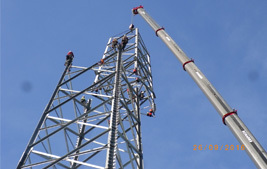 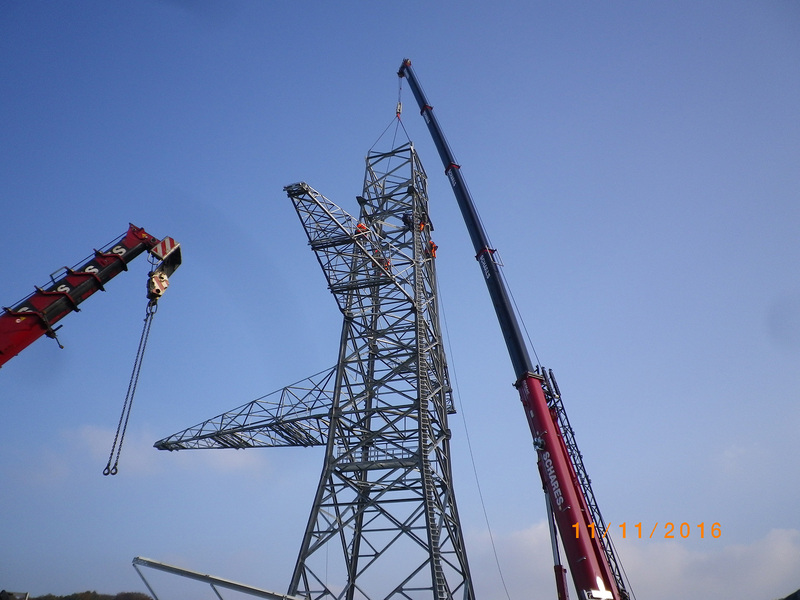 Unicorn was responsible for transport, preassembling and erection of 18 towers with insulators with total weight 1148 ton for AMPRION and 8 towers 110kV with weight 66 ton for WESTNETZ. 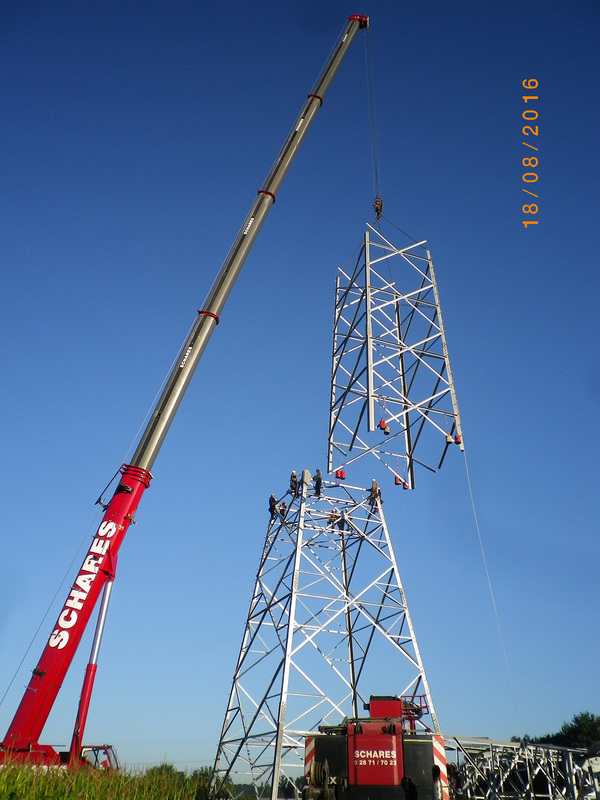 Time frame for this project was from 01.07.2016 until 28.01.2017. 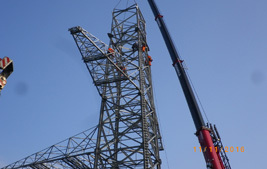 The biggest tower had 148 ton weight and 73m height. 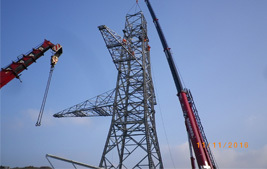 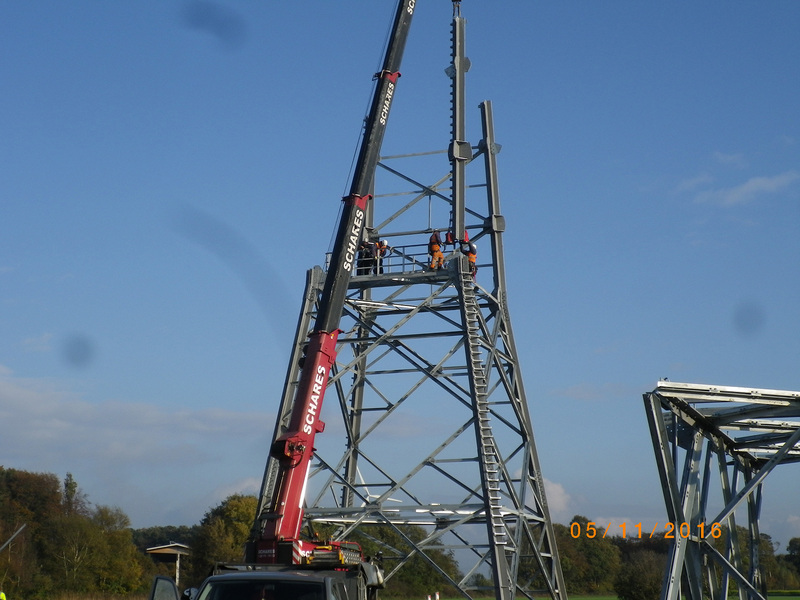 To perform this job 200T and 300T cranes were in use. 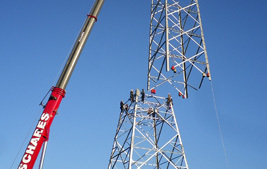 This project demanded from us a lot of discipline in cooperation with Investors and other subcontractors.